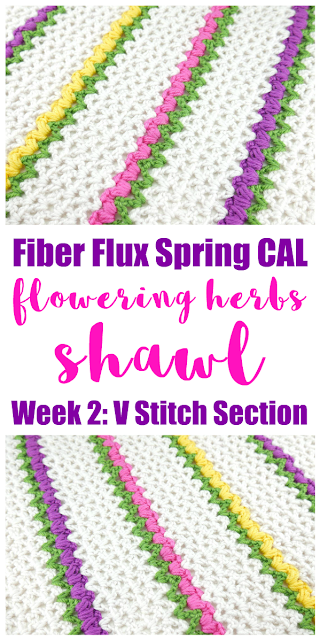 Because there are those of you who prefer a written pattern and those who prefer a video tutorial, below are both. Either way, be sure to check out the video for additional information, plus helpful tips too! Row 1: (worked in "Linen"): In the 4th ch from the hook, work a (dc, ch 1, dc), *skip 2 ch then work a (dc, ch 1, dc) in the next ch. Repeat from * across until 3 ch are left. Skip 2 ch, then work a dc in the last ch. 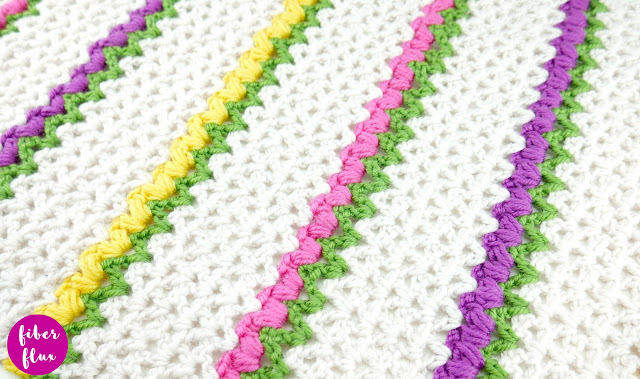 Rows 2-6 (worked in "Linen"): Ch 3 and turn. *Work a (dc, ch 1, dc) in the ch 1 space from the previous row (center of the "v"). Repeat from * across. Work a dc in the topmost chain of the turning chain. Row 7 (worked in "Polo"): Ch 3 and turn. *Work a (dc, ch 1, dc) in the ch 1 space from the previous row (center of the "v"). Repeat from * across. Work a dc in the topmost chain of the turning chain. 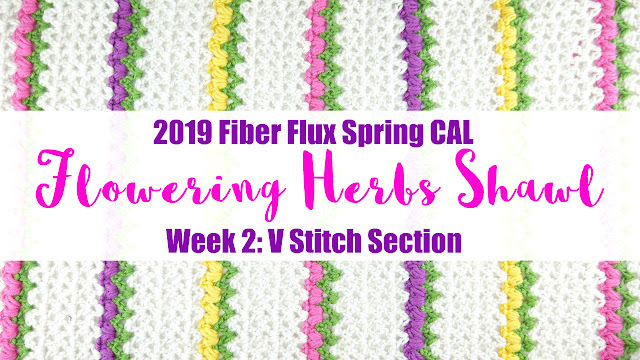 Tune in next week to learn how to create the puff stitch flowers! Wednesday April 3: Introduction to the CAL, the project, approximate size of finished project, yarn, and supplies needed. 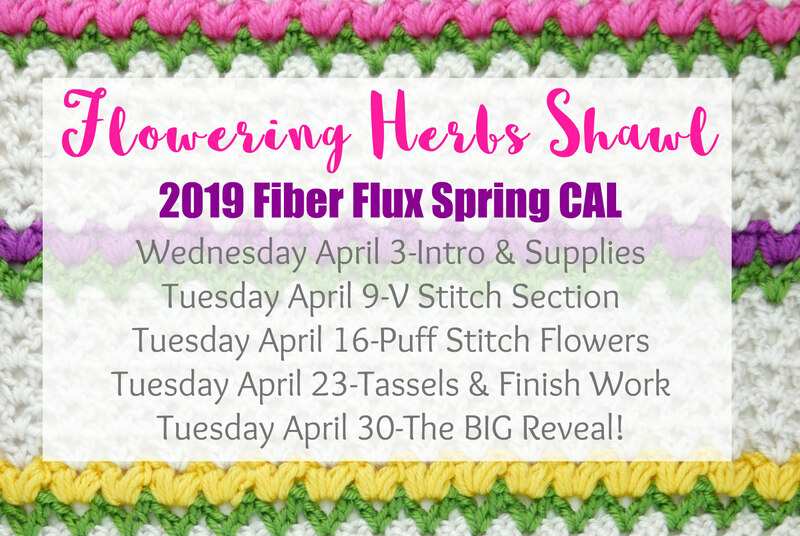 Tuesday April 30: The BIG CAL reveal! 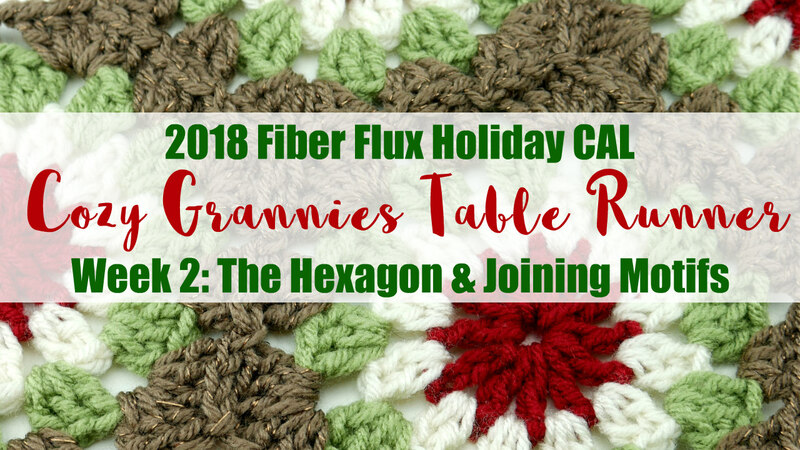 Also we have a special group for us on Ravelry, the "Fiber Flux CAL Group" There is a special welcome area, so please hop on and introduce yourself. You can get info, ask questions, help each other, see what everyone is doing, and show off your work too! 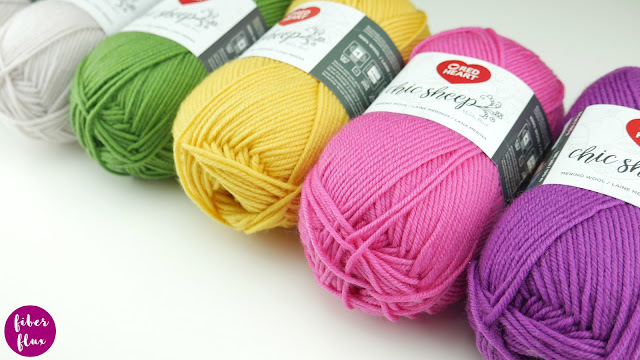 I am so super excited to see all of your beautiful projects in the next few weeks...please share those pictures and above enjoy, take some time to relax with your hook, and have fun! That's all for today lovelies, see you next Tuesday for part three of the CAL! !